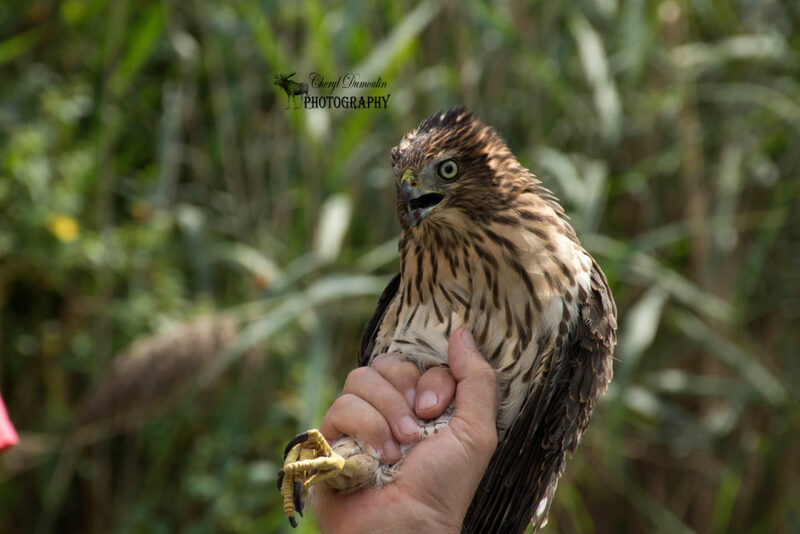 Every September through November, Holiday Beach Conservation Area in Amherstburg, Ontario becomes a migratory hot spot for birds of prey in large quantities and variety of raptor species. 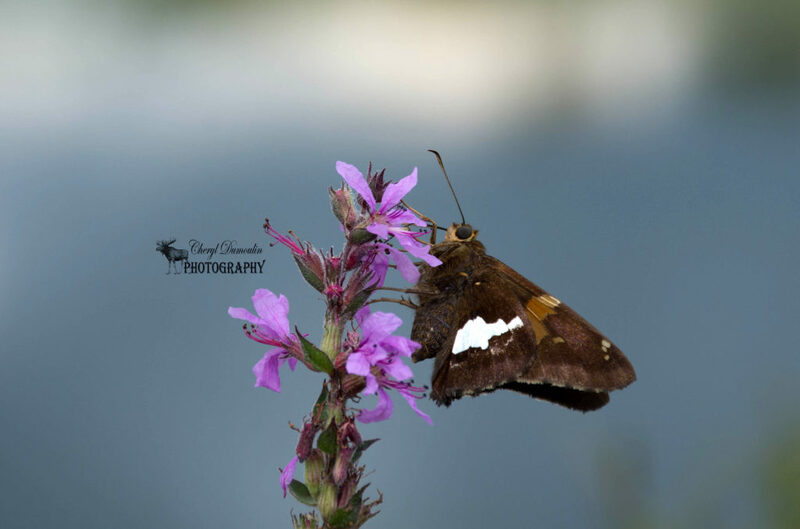 The conservation area hosts an annual festival to celebrate this migration over a couple of weekends in the month of September. 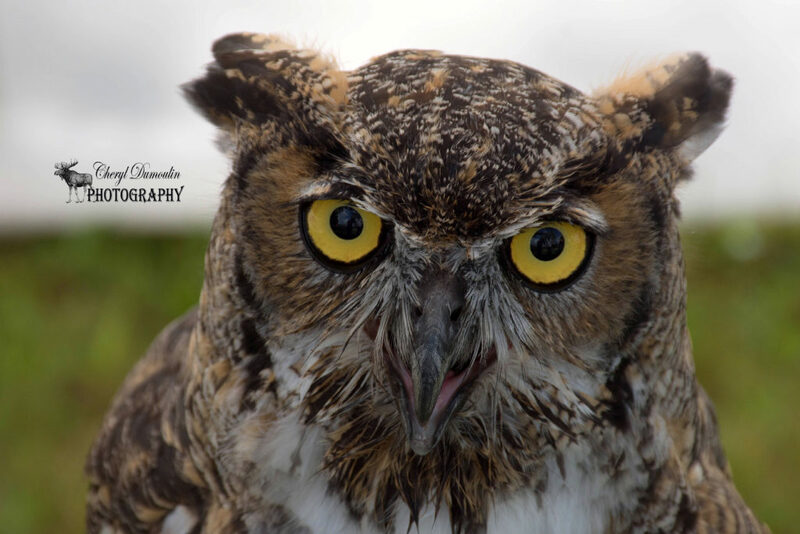 During the festival, visitors can partake in bird banding demonstrations, live raptor shows, free workshops and programs put on by local experts, and also have an opportunity to view live hawks and owls up close. I decided to attend the festival during the first weekend that it was being put on and drove the two and a half hours from London to the conservation area. Once I paid my entry fee I followed the well marked signs that guided me back towards the parking lot closest to the hawk observation tower and the central area of the festival exhibits. After parking my vehicle I walked down a pathway next to a marsh area when I noticed a bunch of other photographers ahead of me that were looking up at something. 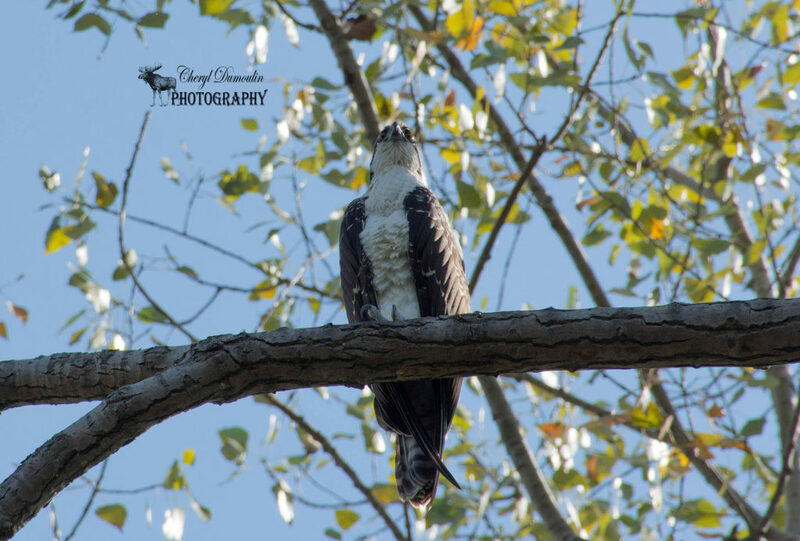 At first I couldn’t tell what all the fuss was about but as I got a little bit closer I realized that they were looking at an Osprey that had perched itself on a branch with a perfect view of the waterway. It didn’t seem at all bothered by the presence of so many onlookers as it was completely focused on searching for its next meal. I walked up and was able to position myself directly below it and took a shot capturing that incredible focus. I was only in the conservation area for a few minutes and I had already seen my first raptor ! Once I finally reached the main area for the festival I got my first glimpse of a tent filled with several species of hawks and owls. 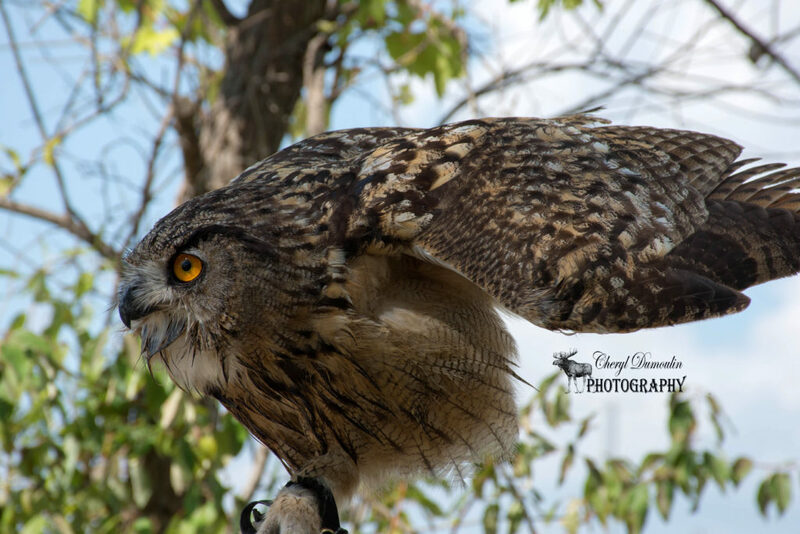 They had a great horned owl, snowy owl, eurasian eagle owl, harris’s hawk and red tailed hawk. 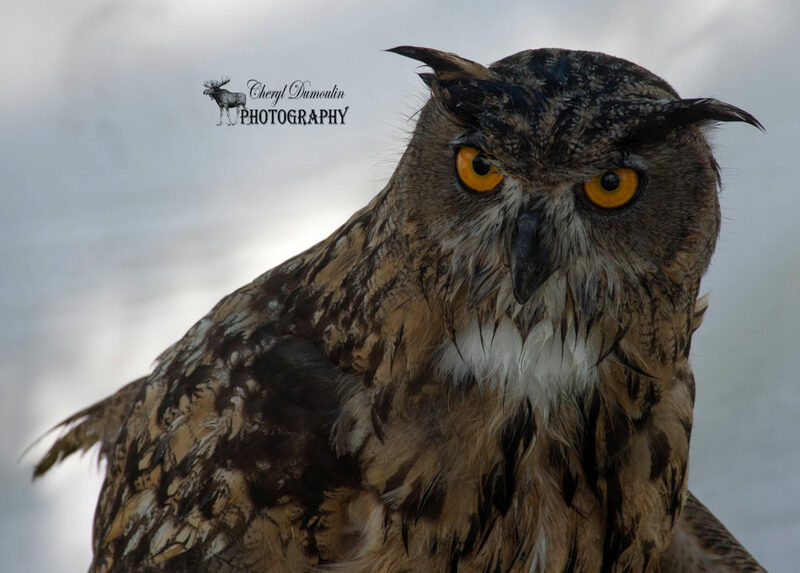 It was a great opportunity to view these birds up close and if you wanted to you could pay a small fee and with the assistance of a handler they would allow you to hold either the harris hawk or eurasian eagle owl. Now it has been on my bucket list for quite some time now to hold a bird of prey so I absolutely jumped at the chance to hold both the hawk and the owl. I remember physically shaking as the handler transferred the hawk to my glove and then a smile coming across my face grinning from ear to ear as I could feel my insides ready to explode with utter happiness. 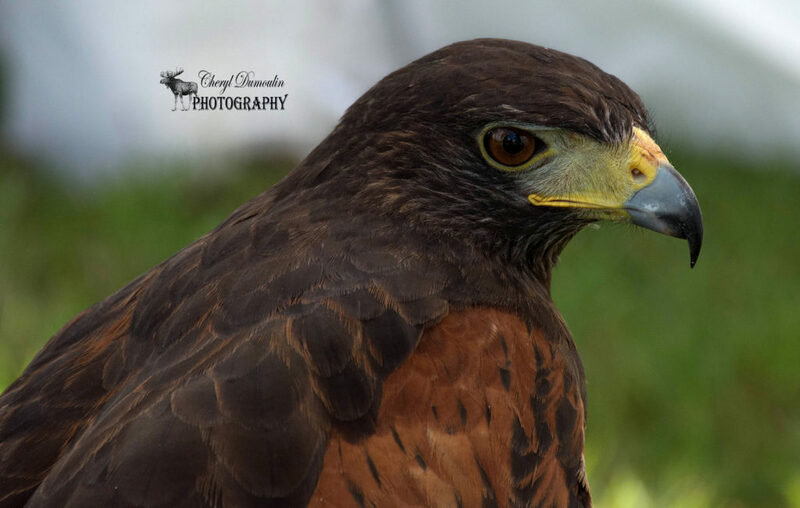 As I talked softly to Titan the Harris’s Hawk, the handler said that he was responding really well to me which was even more exciting. When it was my turn to hold Emily the Eurasian Eagle Owl I was told to brace my arm for her weight. I couldn’t believe how heavy she really felt as she was transferred onto my glove. I brought her closer to my body once my arm was in the right position and was amazed at how really beautiful owls are up close. Just observing her movements and seeing how she behaved in her environment was an absolute thrill. At the bottom of the observation tower I could see that there were bird banding demonstrations being performed and the gentleman who was speaking was holding a cardinal. 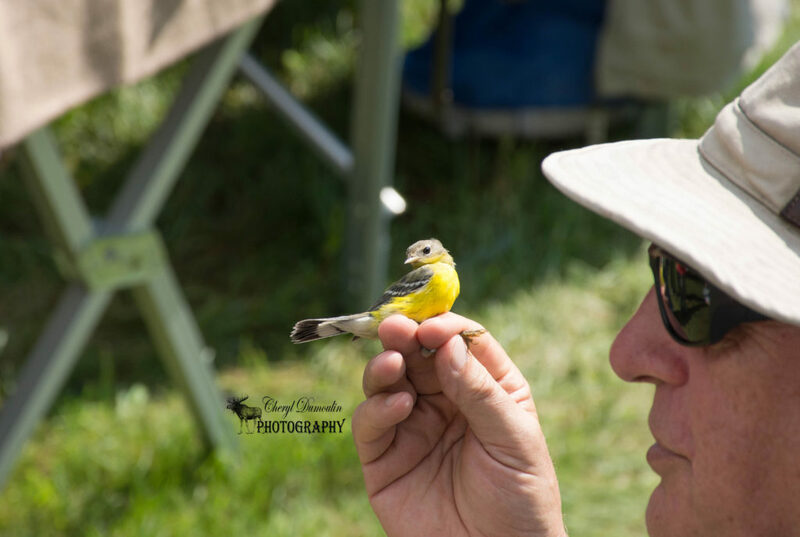 He provided a background on the history of banding birds in Canada and how to properly hold the bird to successfully add a band to its leg. After letting the cardinal go free, he continued the discussion with a Magnolia Warbler followed by a Coopers Hawk. 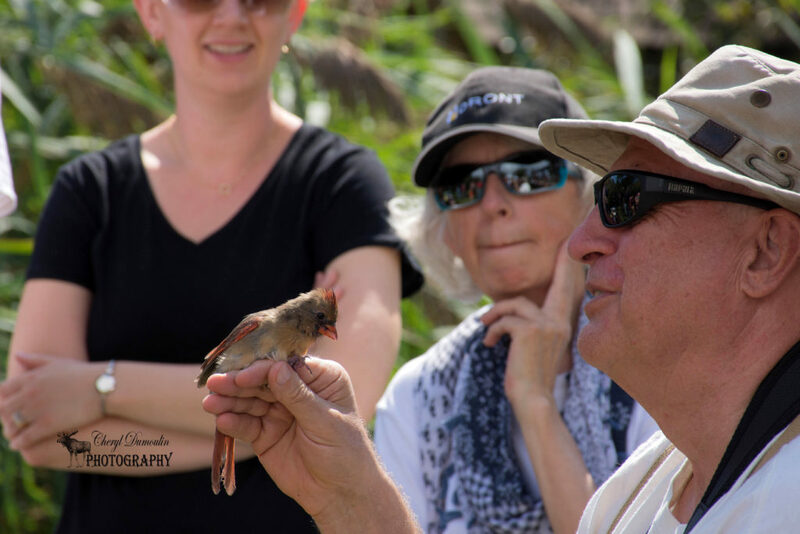 I finished viewing the bird banding demonstration and decided to take a short walk around the marsh area that I passed by on my way into the festival. 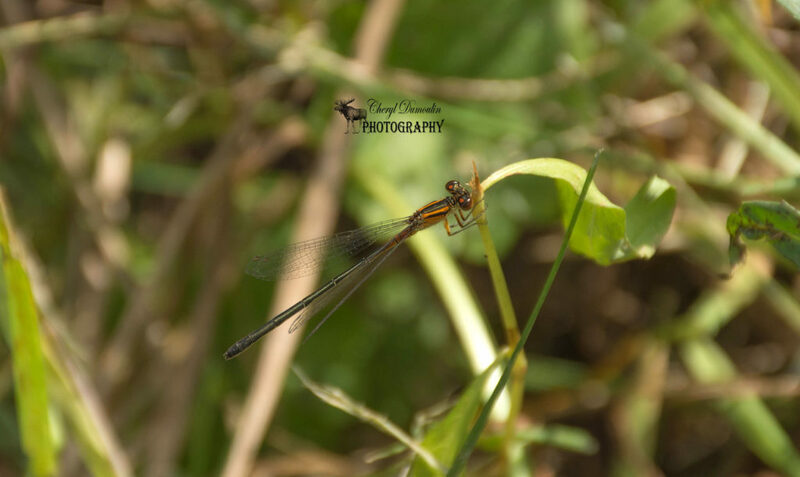 I spotted several species of butterflies included a Silver-spotted Skipper and even an Orange Damselfly. 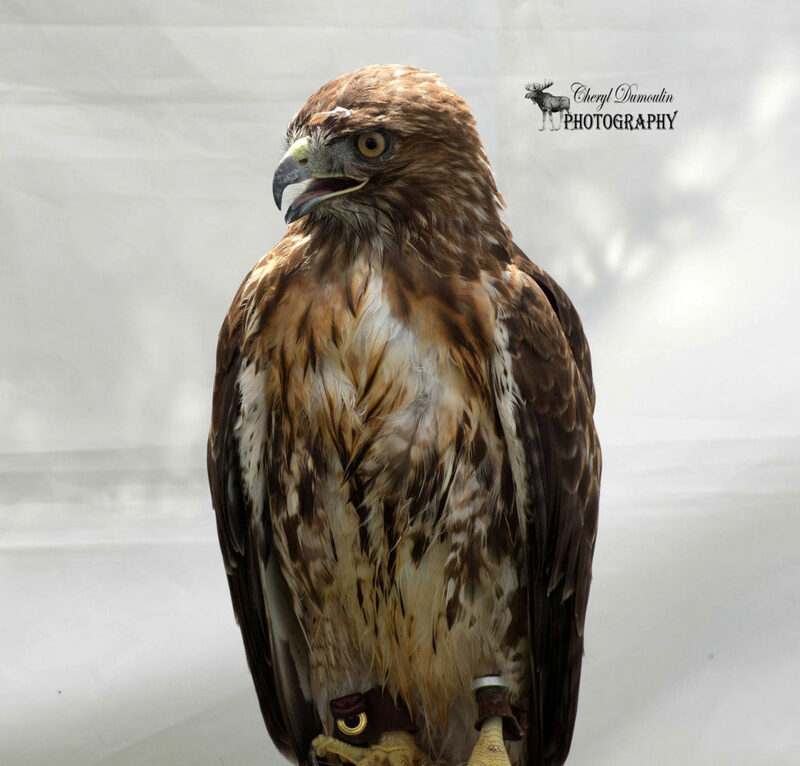 Overall it was a wonderful day at the Festival of Hawks and I will certainly return to Holiday Beach Conservation Area to view the many species of birds that visit there. 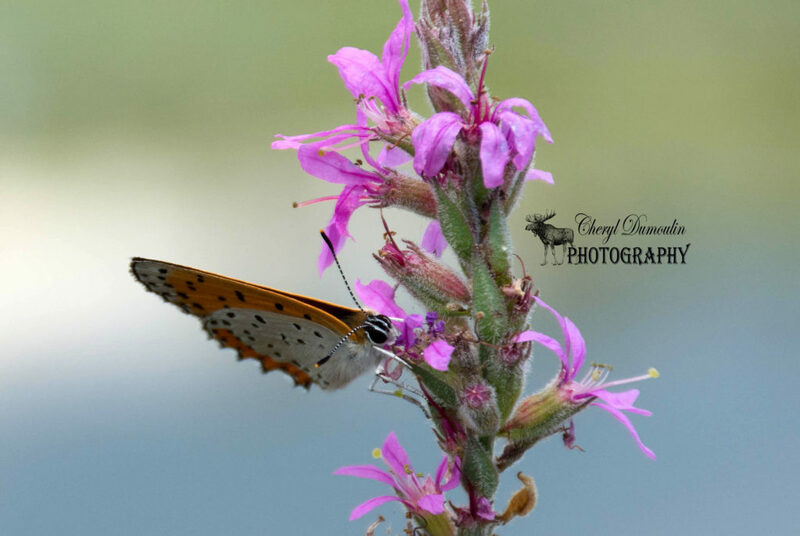 This entry was posted in Conservation Area, Hiking Trails, Nature Photography, Wildlife Photography and tagged Amherstburg, birds, birds of prey, Camera, Canada, cardinal, conservation area, coopers hawk, eurasian eagle owl, Festival of Hawks, great horned owl, harris's hawk, hawk, Holiday Beach Conservation Area, magnolia warbler, nature, nature photography, Nikon, Nikon D7200, ontario, osprey, outdoors, outside, owl, owls, Photo, Photography, red tailed hawk, warbler, wilderness, wildlife, wildlife photography.